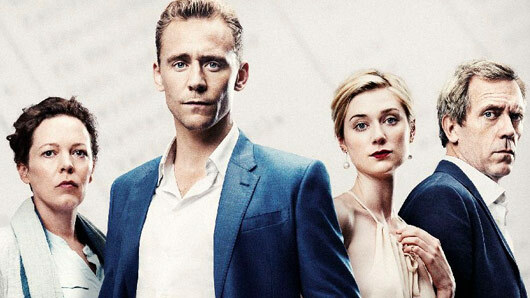 The Night Manager has emerged victorious at The 2017 TV Golden Globes, grabbing the gongs for Best Actor in a Miniseries (Tom Hiddleston), Best Supporting Actor in a Miniseries (Hugh Laurie) and Best Supporting Actress (Olivia Colman). However, the espionage drama, which is based on the novel by John le Carré, failed to pick up the award for Best Miniseries – which instead went to The People vs OJ Simpson: American Crime Story. Elsewhere, Netflix’s Queen Elizabeth II drama The Crown scooped Best Drama, with leading lady Claire Foy picking up Best Actress in a Drama award for her performance of the monarch in her defining years. Best Comedy went to Donald Glover’s heartwarming and hilarious Atlanta, which depicts the lives of three men in the predominantly black community of Atlanta. Glover also received the award for Best Actor in a Comedy for his role in the series. A refreshingly diverse set of winners also saw black-ish‘s Tracee Ellis Ross scoop the gong for Best Actress in a Comedy. She dedicated her award to women of colour in her acceptance speech. « Could Sherlock be coming to an end after series 4?